After 70 years Jamaica’s People’s National Party (PNP) is becoming a democratic institution and the resistance is foreboding. 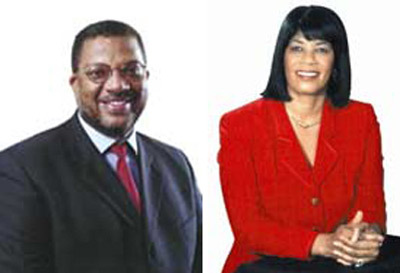 How else could one interpret the reaction to Dr Peter Phillips’ stated intention to challenge Portia Simpson-Miller for the presidency of the party at its birthday annual conference come September? Someone observed that it is the first time in the PNP’s history that a sitting president has been challenged for the post. How were presidents chosen in the past? Were they elected for life or to serve at their own pleasure, then finally at some conference announce their demission? Miller herself is using the argument of tradition, questionable in a democratic institution to say the least, in her first salvo at Phillips. “The People’s National Party has an enviable reputation for internal democracy; this is, however, the first time in our history that a sitting president of the party is being challenged and in the year of our 70th anniversary no less,” Simpson Miller said in a statement. It’s a statement very much like English cuisine – it’s oxymoronic. One party member, a former councillor in St James parish, has jumped ship over Phillips’ declaration. “As someone who has sacrificed not just myself, but family, career and personal resources for the good of the PNP, I believe my lifelong loyalty to this noble movement can never ever be questioned, and it is sad that I now find myself in a position where I cannot honestly say the same of Dr Phillips,” Milton Russell said, appropriately his resignation letter sent to a newspaper editor. He is so committed to the party, which he sees as synonymous with Simpson-Miller, that he has resigned. Of course, if he had a vote at their conference, she now has lost it. Almost as grievous to Simpson-Miller, is the contention that Phillips’ sole motivation for the challenge is abhorrence of the party leader’s social origin. Managing Editor of Montego Bay’s Western Mirror newspaper and president of the local chamber of commerce, Lloyd B. Smith, writing in hic capacity of the daily Jamaica Observer columnist is positing that argument. He goes so far as to tie the debate to the current storm in a teacup whether Jamaican Creole is the island’s first language and worthy enough for the Bible to be translated into it. “At a time when many are supporting the Bible being translated into our patois, and even when we listen to many of our successful athletes and entertainers who, for the most part, speak very little Standard English, why this preoccupation whether Sister P can ‘speak the speech trippingly in the tongue’?” Smith wrote. It sounds a bit condescending and patronising to me to argue that one should not be challenged because of their social class. What if Phillips were from the same social class as Simpson-Miller, would that make everything right? Does Barack Obama deserve support in his presidential run because he’s a minority? Democracy ought to trump sentiment. There might well be class prejudice within the PNP much like it is across Jamaica but to say the party should not stick to its alleged democratic roots based on the shortcomings of the wider society, at least deserves to be questioned. Can the party survive democracy? The critics and some members obviously do not think so. They believe there is a Jamaican political dialect that engulfs all like ether, so the options are for the party to split into new tribes and at best, survive as a weakened skeleton of itself. Such analyses speak volumes about the country’s political culture, maturity and appreciation of democracy.